Our mission is to demonstrate to the world that there is a personal God who hears and answers prayer by meeting the needs of orphaned and abandoned children across the African continent. We partner with African churches, organizations, families and individuals to work together towards this goal. 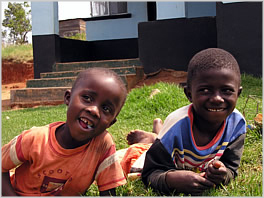 Orphanages for Africa works with some of the most abused orphans on the African continent. We focus on those whose situation is most desperate: children with no relatives or friends to take care of them. Through the work of our partners we strive to make a difference in the lives of these children, giving them hope for an otherwise bleak future and the opportunity to reach their potential. 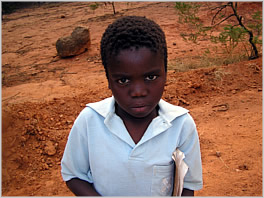 Orphanages for Africa works solely through our partner organizations in Africa. We believe in African solutions to African problems and our strategy has always been based on empowering already existing projects. OFA currently partners with five organizations throughout Kenya, Sierra Leone, Uganda, Zimbabwe and Democratic Republic of the Congo, to alleviate poverty and provide assistance to over 475 children and youth. Our role is to facilitate the growth of organizations engaged in caring for orphans and provide resources that will enable such projects to work towards becoming self-sustaining. We provide basic assistance for food, clothing, school fees, books, medical expenses etc. to partners struggling to make ends meet for the orphans under their care. Basic assistance is often vital, but can only act as a temporary solution and it is our goal to move our partners towards self-sustainability. If you are involved in running an organization caring for orphaned children in Africa and would like to apply for partnership with OFA, please note that we are currently not accepting new applications from any countries until our financial and staffing resources permit. OFA is an international Christian humanitarian and development organization dedicated to glorifying God and demonstrating to the world that there is a personal God who hears and answers prayer. The inspiration for our ministry to orphans is found in the life and work of George Müller, who built and ran orphanages in 19th Century England. Müller relied solely upon God to supply all of the needs for his ministry. When he died in 1898, George Müller had received the equivalent of $180 million in today's currency, as a direct result of prayer. OFA's policy is not to ask people for money; instead, as we pray we rely upon God for funds to arrive. We feel strongly that it is important to avoid putting people under pressure to give. We aim to make our work and needs known in non-intrusive ways and then to make it easy for people to donate if they wish. Since we do not spend our resources on fundraising, we are able to use more of our donations to serve directly the needs of our partners caring for orphans. Please click here to read OFA's Statement of Faith. OFA-USA was founded by Catherine Evans (a licensed clinical social worker in the USA) in October 2005 with prayer, a donation of $100 USD and faith that God would sustain the ministry. By February 2007 OFA had expanded into Canada and we are now working in partnership with a registered Canadian charity, The Great Commission Foundation. In February 2008 OFA-UK was launched. Our hope is for OFA to continue to expand into multiple developed nations around the world as God guides us, in order to share with even more people our vision of caring for orphans in the African continent.